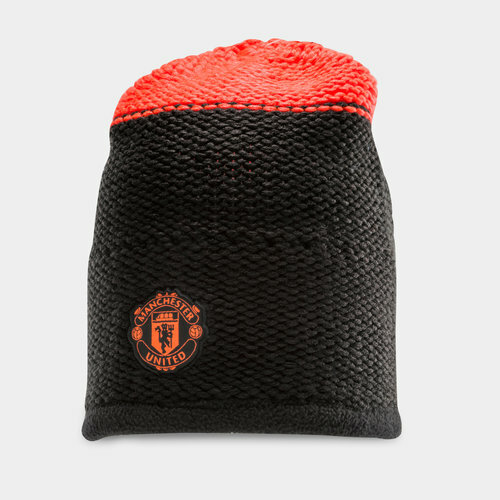 For those cold nights at Old Trafford and out on the training pitch, pull on this adidas Manchester United 17/18 Supporters Football Beanie in Black and Solid Red. Made from a warm mix of acrylic and polyester, a fleece band wraps around the inside to cover your forehead and ears while the knitted effect of the beanie helps retain the heat when tackling those chilly days and nights. A solid display of black and red, the adidas logo and Manchester United badge are stitched on opposite sides.